The AirMD network is an environmental testing and consulting group that provides lead testing and inspections made up of scientists and consultants who are experts in lead testing. If lead is found, the consultant will provide a protocol for lead removal and also refer you to a professional in our network of lead abatement companies. After abatement, the consultant will perform a post abatement test to ensure that all lead has been removed. Also, all samples are sent to an independent laboratory for confirmation. Lead may be found in paint, dust or soil and is a serious problem because it can enter the body through ingestion or inhalation. To avoid the health risks associated with lead poisoning, it’s important to have your City home or business tested by a licensed, professional lead testing company to determine if you have any exposure. Depending on the level of exposure, lead can cause damage to the nervous system including, headaches, high blood pressure, digestive problems or muscle and joint disorders. Paint inspection — Determines the lead content of painted surfaces in your home. Risk assessment — Identifies sources of lead exposure including paint and lead dust, and specifies what actions are required. Federal regulations require that home sellers provide lead disclosures to home buyers who are purchasing a home built before 1978, however lead may be present in newer homes as well so testing is advised. One of the first things many people do when moving into a new house is to start painting and remodeling which can cause lead based paint chips or Lead Based Paint (LBP) dust that can be ingested by occupants. Lead inspections identify lead in materials including paint and finished surfaces; a lead abatement protocol is required if lead is detected, to ensure all of the affected areas are identified and removed properly. The lead protocol details the proper handling of the materials in accordance with Environmental Protection Agency (EPA) and Occupational Safety and Health Association (OSHA). Understanding local, Arizona and federal regulations is necessary to protect property owners and workers from unnecessary liability. A concise lead abatement protocol report is critical for the success of any lead abatement project. AirMD’s network of consultants has completed thousands of lead inspections with protocol development on facilities including residential, large commercial buildings, governmental, healthcare and municipal buildings. Learn more about Protocol Development here. 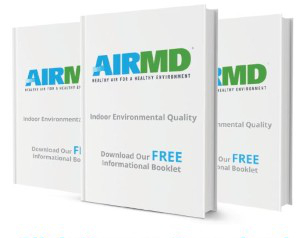 AirMD can serve your environmental testing needs including: Mold testing and mold inspection, asbestos, allergy and dust mite testing, bacteria, chemical and VOC testing, lead, heavy metal, formaldehyde, pesticide and water testing. To book Lead Testing and Inspection for your Mesa home or business, Click Here. You can also call us at 1-888-462-4763 or 1-888-GO-AIRMD.